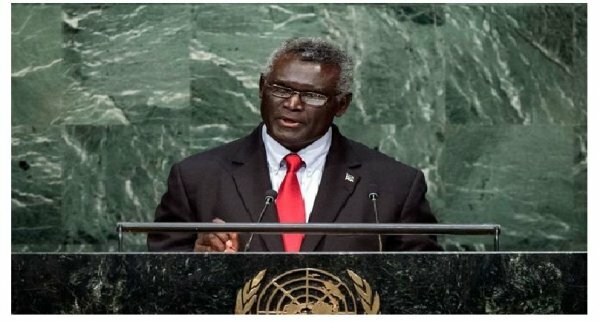 On the occasion of the 70th United Nations General Assembly, Manasseh Sogavare, Prime Minister of the Solomon Islands, gave a speech calling on the UN to address the Indonesian government’s human rights violations against the ethnic Melanesians of West Papua. Prime Minister of Solomon Islands, Manasseh Sogavare, has called on the United Nations Human Rights Council to increase efforts in carrying out investigations and monitoring allegations of human rights abuse and violations in West Papua. "All states have a legal duty and moral responsibility to uphold, respect and promote human rights and where necessary take preventive, protective and punitive measures against human rights abuses or violations in accordance with the UN Charter and applicable international laws,” Sogavare said. PM Sogavare said that the UN cannot shy away from the root causes of violations against the ethnic Melanesians of West Papua. The head of the Pacific nation made these comments during his address at the 70th session of the United Nations General Assembly.